Tired of traffic, fossil fuel usage, and pollution? Do you want to work on a new paradigm for urban transportation – solar-powered automated rapid transit ascendant network (SPARTAN) and get practical, real-world experience? 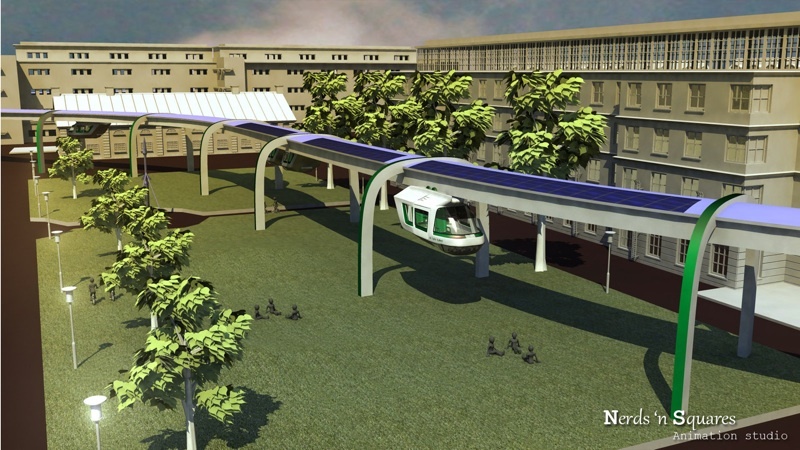 The Spartan Superway is a new paradigm for sustainable urban transportation that consists of solar-powered automated rapid transit ascendant networks (SPARTAN). SPARTAN features non-stop, on demand, origin-to-destination travel service that is powered by solar energy. Candidate summer interns will fill out an application (see above) that will help the management team decide which project best fits your interests. There are potential opportunities in Mechatronics, Mechanical Design, Structural Engineering, Solar Design / Generation / Grid Integration, Urban Design and Planning, Vehicle Cabin Design, Power Electronics, Industrial Systems Engineering, and Mobile App Development. I-House Summer Application: https://tinyurl.com/mgohnct Start date June 1st, 2017. End Date August 1st, 2017. $30 / Night → 8 weeks = $1,680 + $100 for linens, with possible $50 rebate for linens.